Let me start by saying that Mexico has brought some pretty incredible things to the world. Think chocolate – I could just stop there, that is good enough for me – but also mariachis, Day of the Dead, mezcal and that is the smallest tip of the iceberg. However, I have also discovered that some very Mexican things did not originate from Mexico, but came here from Europe, the Middle East, the USA and Asia. I love Tacos al Pastor, in fact I think it goes beyond love, I am obsessed with those delicious tacos topped with the sweet slice of pineapple. However, it is possible that the objects of my desire would not be found in Mexico if it wasn’t for the Lebanese immigrants who brought the idea of cooking meat on a spit with them to Mexico. It is believed that shawarma (the name given to meat that is stacked onto a spit and cooked over a day of so), inspired the taco al pastor (the Mexican’s using pork for al pastor in place of the traditional lamb). So I think we all owe Lebanon a big thank you. As soon as the nights start rolling in and we get closer to Dia de los Muertos, Day of the Dead, sugar skulls begin to appear in the markets of Mexico. The colourful, smiling skulls are used to decorate altars and to represent the departed souls of human beings. 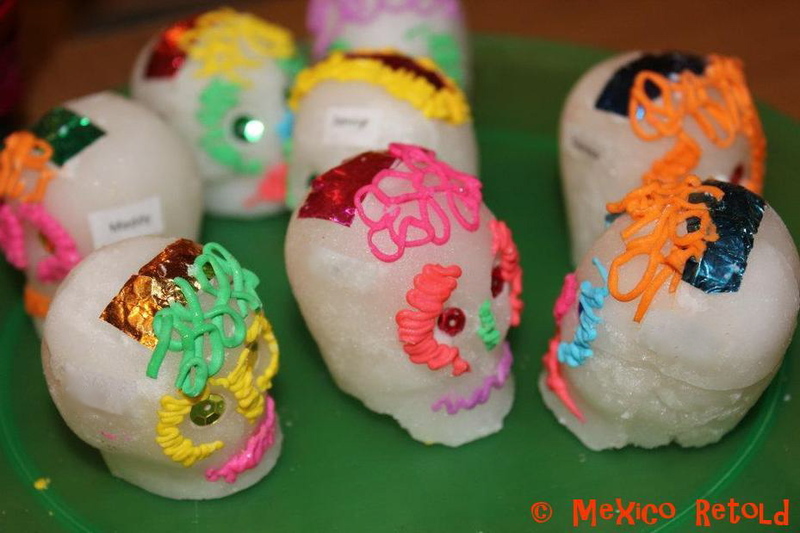 Whilst the tradition of making skulls from sugar is certainly Mexican, the idea to use sugar as decoration in the first place came to Mexico from Italy. The Italians used sugar to make decorations during Easter, such as sugar lambs and angels. Therefore, when Italian missionaries came to Mexico they taught Mexicans who were cash poor but sugar rich to make decorations for the church in this way. 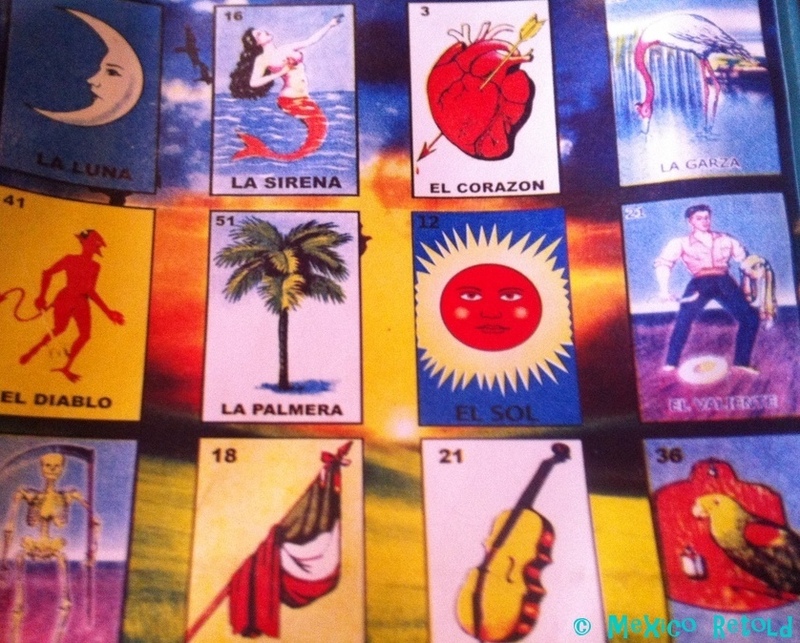 I love La Loteria, the game and all the imagery. If you haven’t played it is somewhat like bingo, only with pictures. There’s La Sirena, (the mermaid) El Gallo (the cockerel), El Valiente (the valient) , and El Borracho (the drunk) to name just a few of the images represented. If you had asked me before researching this piece, I would have been convinced that La Loteria was hecho en Mexico, but nope, it is another lovely import from Italy. It was invented in the 15th century and made it over to Mexico in 1769. Apparently, it was originally a game for the upper classes before it made its way into many Mexican households. I never much thought about why the Mexican Wave was called the Mexican Wave, until I mentioned the name to my boyfriend who fell about laughing. To him, it was just The Wave. After a little research (mostly in his futbolero brain) I discovered that the wave was first seen across the world in the 1986 World Cup in Mexico. Hence, we realized, it was coined, the Mexican Wave. However, apparently it is likely to have originated in the US at baseball or American football matches before it was made an international ‘thing to do’ in Mexico . Ahh the beloved Piñata, just the presence of which can send a Mexican child into fits of excitement. Of course, it is super colourful, you get to whack it and when it breaks it rains sweets and toys. There is nothing not to love! 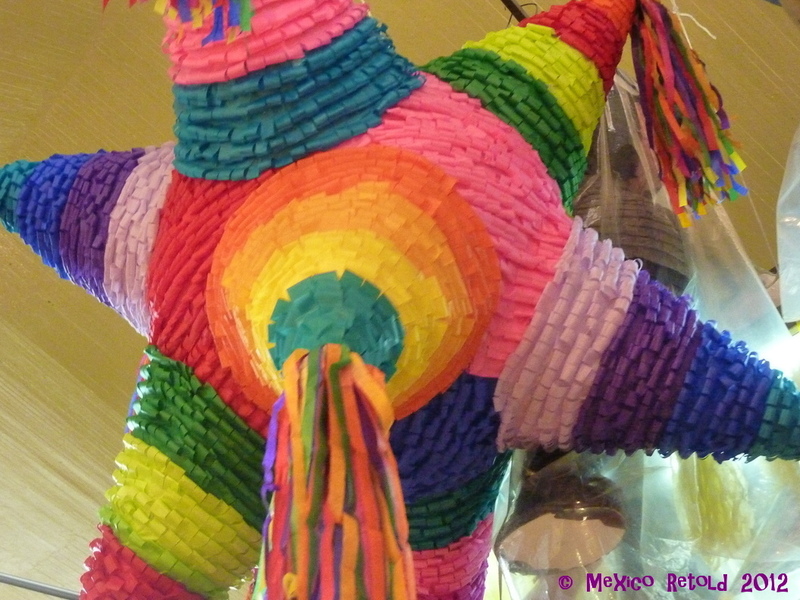 The Piñata is a staple at every Mexican children’s party and some adult parties too and is massively associated with Mexico. It wasn’t invented here however, but apparently in China! The Chinese used their Ox and Cow shaped piñatas at New Years, that were apparently filled with seeds and hit with sticks. The idea arrived in Europe in 14th Century and made its way over to Mexico after the arrival of the Spanish. But, and it is a big BUT, the Aztecs already had a similar traditional of hitting a clay pot with sticks until feathers poured out at the feet of the idol of Huitzilopochtli, the god of war. So really this begs the questions…in the pre copyright world, who really invented anything? Interesting post. At least every one of these things, Mexicans made it their own by doing it differently. I’ve also never heard of “mexican wave”, I just know it as “wave” hehe. Yes exactly, they have definitely been Mexicanized (read made extra amazing). We definitely owe Lebanon a big thank you! 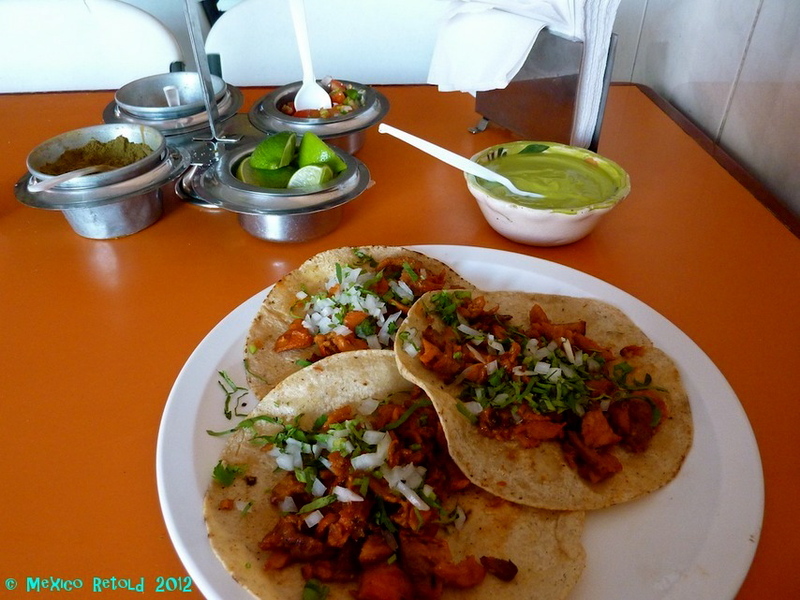 I love tacos al pastor! 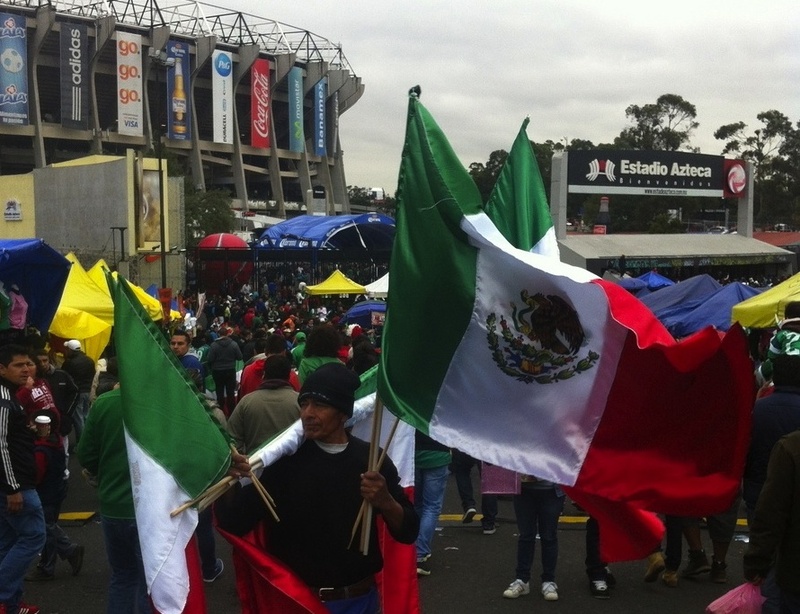 My Mexican boyfriend is adamant that the Wave started in that world cup in Mexico haha. I had never heard it referred to as the Mexican wave, or that it originated in Mexico until I lived in Mexico. Interesting, my Mexican boyfriend thought it was silly that I called in the Mexican wave…so funny! and yes we owe Lebanon not only for tacos al pastor but for Selma Hayek too! Muy buen reportaje eme encanta cabe mencionar que la cultura mexicana tienen influencia árabe traída de España los patios con flores donde las familias la talavera los alfeizares los alfajores todas la casas tienen aljibes se guisa con especies árabes, una raíz racial de la se componen etnicamente los mexicanos no solo española e indígena también esta la raíz africana, en la cocina conventual el uso de figurillas de azúcar y otras cera de abejas con ellas se fabricaron las mexicanisimas calaveras de día de muertos la piñata se origino en Italia pero esta la mexicanas son mas bellas e ingeniosas la lotería llego como un permiso de estanco a Nueva España Muchas felicidades la informacion es muy buena. Really? That’s super interesting. I will investigate.